This particular area of Avondale is very competitive due to the abundance of some spectacular restaurants, and The Brick, has held its own for many years in this location. 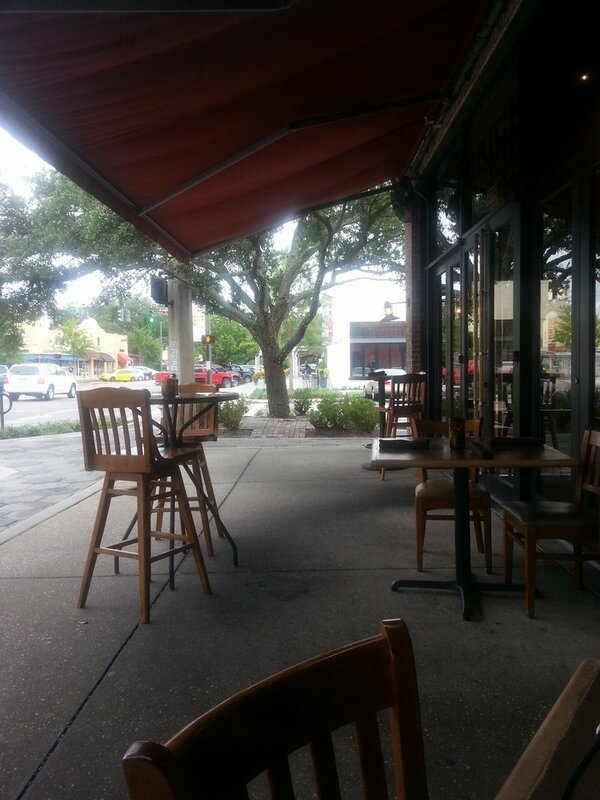 Definitely a neighborhood favorite gathering spot and on good days, the outside tables are in high demand. I often bring my dog for lunch, they have one of the best Veggie Burgers available of any of the dog friendly spots I have visited. They do not take reservations, so it can be tricky to score a spot. It was early so we stopped in for appetizers on our way to dinner at another spot. We were fortunate to score one of the outside tables, like the last one, and on a beautiful Florida day it was perfect. Service has always been sketchy but today we hit the mother lode. Our server, was just grand, he chatted with us, we ordered some wine and told him we would let him know when we needed more. He took the cue and although he stuck his face out to check on us he never approached until we beckoned him. Not wanting to overload ourselves, we ordered light, well light for us. 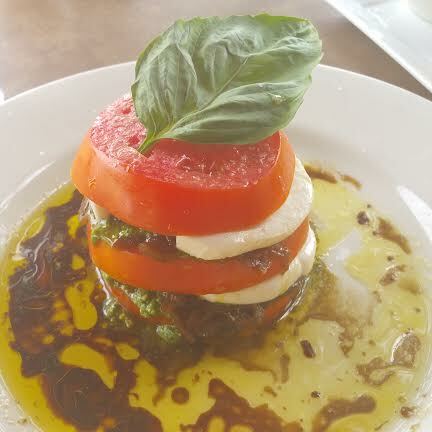 Starting with the Tomato Mozzarella stack w Onion Confit and Pesto. A nice looking dish, a healthy slice of tomato and equally healthy sized slice of cheese. The mixture of the onion with pesto was quite tasty. This was a more than ample portion for sharing. 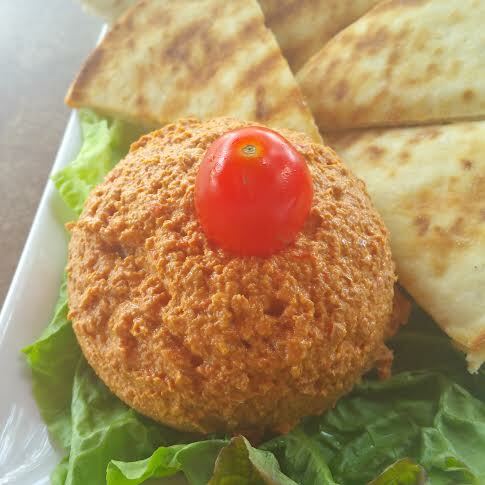 Next up we tried the Hummus, a soft and creamy Muhammara and more textured Red Pepper Hummus. These were served with an abundance of warm Pita triangles. My favorite was the creamy Muhammara, the Tuscan was nice but not as flavorful. 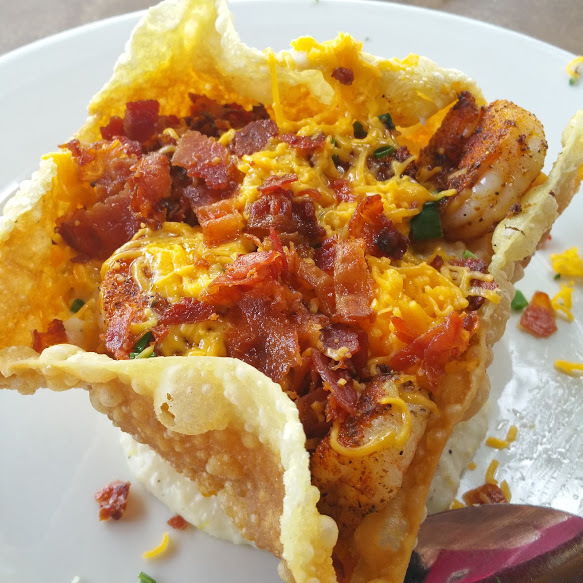 Our last choice, the Shrimp and Grits w Bacon and Cheddar appetizer . 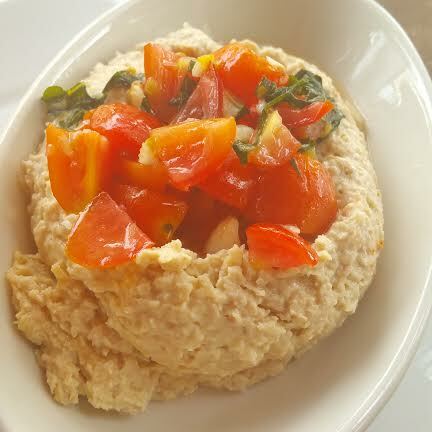 This is a very large portion for appetizer size, but again perfect to share. I have had this dish several times in the past and have always enjoyed it. Today’s dish was not quite up to par. My companion thought the dish looked dry, like it has spent about 5 minutes too long under the heat lamp, I had to agree. Forget about eye appeal on any level. We had requested the shrimp be blackened, and in the process they became overcooked, add that to the dryness of the bacon, it was not the dish we hoped for. The save, grits were creamy, perfectly salted, so when you mixed it together it made it less dry, except for the shrimp. There was no saving them. So overall out meal, was just meh, not much to excite or inspired. It might be a while before I return to this spot, but I encourage all to give it a try, perhaps it was just an off day, for the restaurant or for me. I would also recommend giving the Saturday of Sunday Brunch a whirl. Get there early, and score one of the outside tables.